By Dann McCreary. For the Apple II and II plus, Pascal edition. 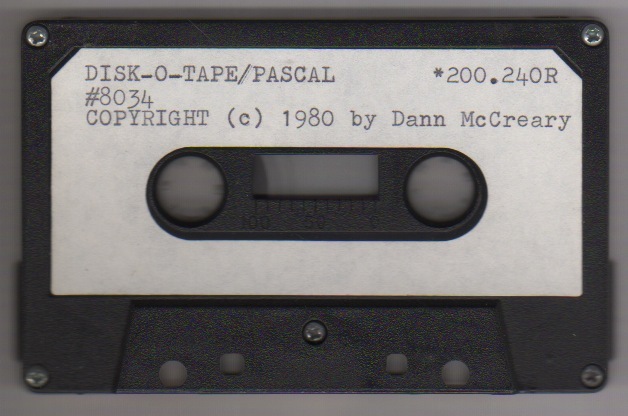 Transfer an entire disk to tape in a single bound! Thanks to Dirk B. for the gift! image into place on a formatted 5 1/4" floppy disk. little bit of advertising later in some of the same magazines. "self-sustaining" and so I was never able to quit my "day job"
and write independent software full time. Viametrics, a people-counting company based in Sweden.